The Fund aims to maximise the return on your investment through a combination of capital growth and income on the Fund’s assets. The Fund invests at least 70% of its total assets in a concentrated portfolio of shares of companies domiciled in, or the main business of which is in, Europe. Nigel Bolton, FCSI, Managing Director, is Chief Investment Officer (CIO) of the Fundamental Active Equities and Head of the European Equity team within BlackRock's Active Equity business. Nigel manages Blackrock's key pan European equity strategies as well as leading the firm's investment processes and business development across the Fundamental Active Equity group. 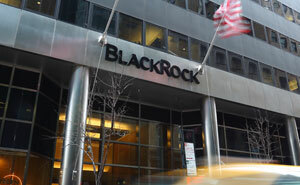 Prior to joining BlackRock in 2008 Nigel held a number of senior positions in asset management including Scottish Widows Investment Partnership and Citigroup Global Asset Management where he was Head of European Equities. With over 30 years' experience in investment management he is widely regarded as an expert in equity fund management and has won numerous prestigious industry awards such as Morningstar's European Fund Manager of the Year. He regularly appears on CNBC and Bloomberg TV. Mr Bolton earned a BA degree, with honours, in economics from the University of Nottingham and is a Chartered Fellow of the Chartered Institute for Securities and Investment. The fund invests a large portion of assets which are denominated in other currencies; hence changes in the relevant exchange rate will affect the value of the investment. The fund typically invests in a concentrated portfolio of investments and should a particular investment decline in value, this will have a pronounced effect on the overall value of the fund.